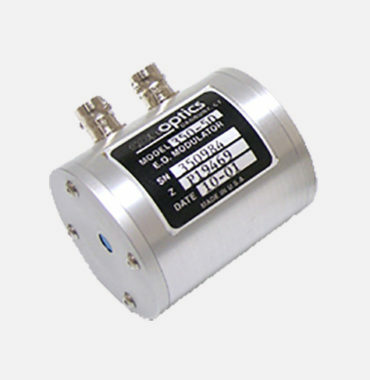 Conoptics manufactures a line of laser accessories for laser modulation, driver electronics, beam deflectors, noise reduction and optical isolators. 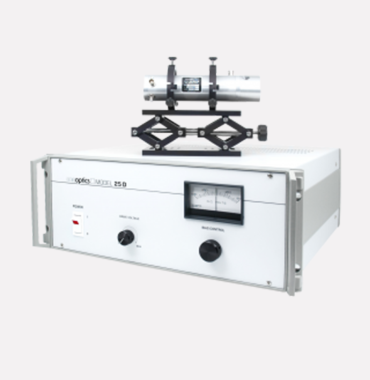 All electro-optic modulators listed in this data sheet are of the transverse field type, that is, the electric field produced by the applied signal voltage is perpendicular to the optical propagation direction. The voltage swing required by a given modulator at a given operating wavelength to transit between the full off state to the full on state is called the Half Wave Voltage (V½). 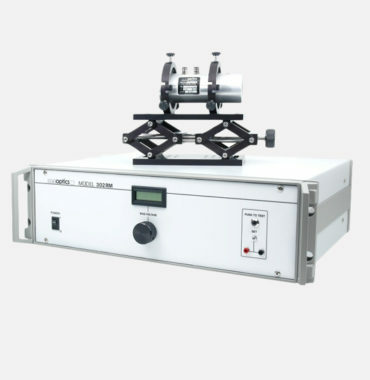 All electro-optic modulators listed in this data sheet are of the transverse field type, that is, the electric field produced by the applied signal voltage is perpendicular to the optical propagation direction. The voltage swing required by a given modulator at a given operating wavelength to transit between the full off state to the full on state is called the Half Wave Voltage (V½). The transverse field structure allows reduction of V½ by manipulation of the crystal length to aperture ratio to a level achievable by available driver electronics. V½ is roughly proportional to wavelength and long wavelength devices usually require higher length to aperture ratios to accommodate existing driver output levels. Conoptics offers modulators constructed with three different crystal species: Ammonium Dihydrogen Phosphate (ADP), Potassium Dideuterium Phosphate (KD*P), and Lithium Tantalate (LTA). Models 370, 380, and 390 utilize ADP as the active element. The unique feature of these models is the virtual non-existence of piezoelectric resonances. Models belonging to the 360 series utilize LTA. LTA has the lowest intrinsic V½ and the longest wavelength IR cutoff. Furthermore, it has a combination of high refractive index and relatively low dielectric constant which allows modulators to be designed which make full use of the intrinsic driver frequency response. Models in the 360 series exhibit piezoelectric resonances but they are discrete and very narrow. 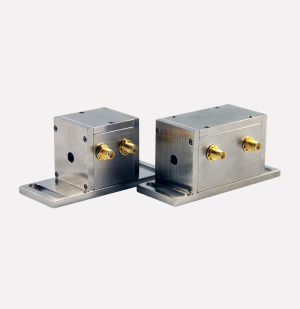 KD*P is used in Model 350 series modulators. In terms of optical transmission bandwidth and driver frequency response utilization, this series falls in between ADP and LTA versions. 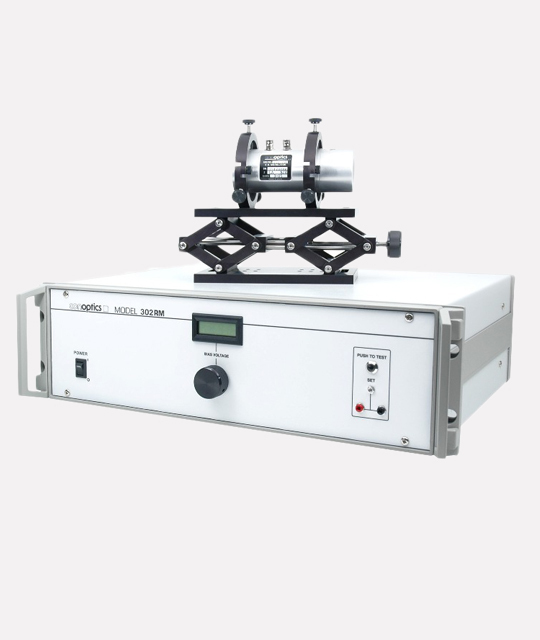 Table 1 below provides the specifications our ADP (240-to-800nm), KD*P (240-to-1100nm) and LTA (700-2000nm) series modulator product line. Contrast ratio measured with 1mm beam @ 1% point. The last Digits of the Model Number for the 350 and 360 Series designate the total crystal path length in millimeters.